Don’t Spill the Beans is another game that I have used with my language learners. It has always been good for general reinforcement. Many of you probably have the game already. I often became annoyed by the spilled beans. They were difficult for my students with poor fine motor concerns to pick up and took precious therapy time collecting them. I thought there had to be a better way. Then I remembered my Chipper Chat therapy materials. It is a product from Super Duper which many of you may also have. 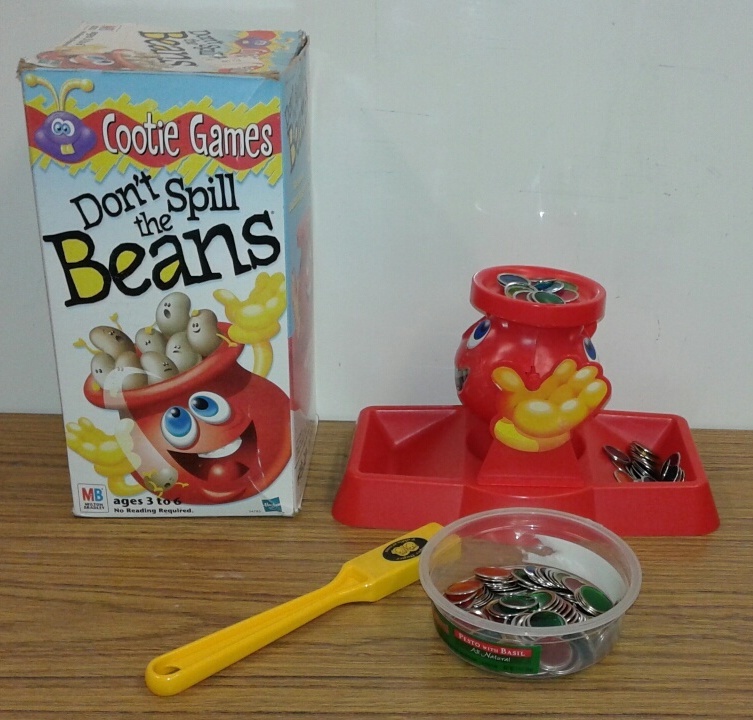 You can breathe new life into your “Don’t spill the Beans” game by switching out the beans with the magnetic chips. The students are always enthused about using the magnets and it makes it easy to pick up the spilled chips. I usually have the students pick up the chips with the magnets and place them in individual saucers to compare the amounts. You can also vary the game by having students collect specific colors that spill. The magnets have really helped with quick clean up. 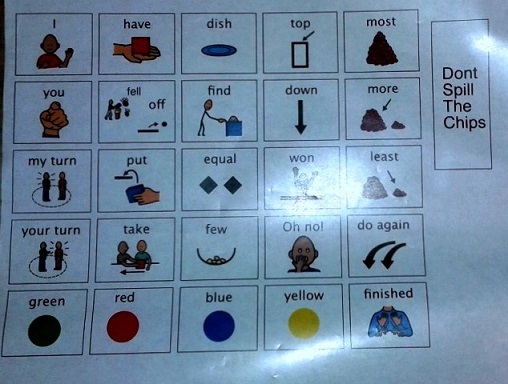 I added a communication board to practice sentence frames and turn taking..